Motorcycle riding is a great way to travel through eastern Pennsylvania and explore all that the state has to offer. It can also be an unsafe method of travel – according to the Insurance Institute for Highway Safety, motorcycle accidents occur over 25 times more often than car accidents per mile traveled. Motorcycles do not offer the exterior protection of metal that normal cars do, which can make the effects of a crash much more devastating. What Are the Most Common Injuries for Motorcyclists? Head injuries, (both open and closed), concussions, and traumatic brain injury (TBI). Head injuries are most common in riders who don’t wear a helmet. Many of these injuries can be minimized by taking appropriate safety precautions – for example, by wearing a helmet and protective clothing. Still, motorcycle riders will incur injuries due to circumstances beyond their control. Rear-end accidents – While these may be classified as “fender benders” when they involve two cars, a rear-end accident can mean serious injuries for a rider. Car door opening – When drivers are parallel parked, they often don’t think to look around before exiting their vehicle. This type of accident often results in extensive injuries for a biker. Sideswiping while changing lanes – Motorcycles often fit into a driver’s blind spot. When drivers don’t check their surroundings carefully, the consequences can be devastating. Turning left in front of a rider – Sometimes it’s carelessness, or even recklessness that leads a driver to turn left in front of a motorcycle. It can be the result of misjudging speed but this type of accident often leads to serious injuries. 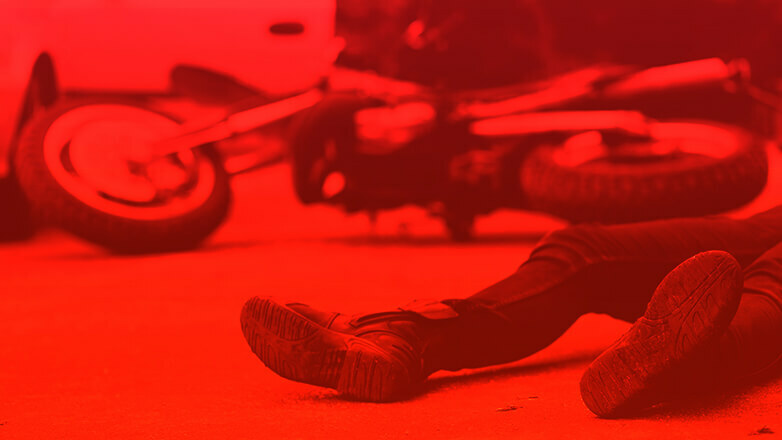 You’ve Been Injured in a Motorcycle Accident: Now What? If you’ve been injured in an accident on your motorcycle, you may be able to collect compensation for your injuries. If the other driver was negligent, you may be able to receive a settlement to pay for medical expenses, lost wages, and other costs associated with your rehabilitation and recovery. Pennsylvania is a “choice no-fault” state, meaning you may be able to pursue a claim, even if you elected to purchase no-fault insurance. The attorneys at Rosenbaum & Associates have been helping families in the Wilkes-Barre & Scranton area for more than 25 years. We want to put our dedication to work for you. Your road to recovery begins with a free initial consultation at our injury firm – contact us today.